MX Player went live with 5 MX Original Series in February, ranging across genres like dramedy with Hey Prabhu, social satire with Aafat, a teenage romance with ImMature, a regional drama called Lots of Love and the marquee chat show – Famously Filmfare which features in 7 languages. MX Original Series Aafat is about 5 women who are breaking stereotypes while struggling to get married in Delhi’s arranged marketplace. Driving this show to the finish line was its power packed marketing punch. Here’s how! The Objective: To position the show as an entertaining yet thought provoking narrative which would strike a chord with audiences in Tier II and Tier III Cities. The Insight: The 6 episodic series stands out as a relatable concept that found empathy across the length and breadth of the country, especially in Tier II and III markets. Based on this insight, a marketing strategy was devised to cater to small-town audiences without alienating the metros. The Strategy: To create a campaign that challenges the age-old belief of “Ladkiyaan toh Aafat Hai” and reposition it as a positive message by coining – #MainHoonAafat. The thought essentially was to applaud women who are considered a force to be reckoned with and to inculcate a sense of pride in them for thriving against the odds. 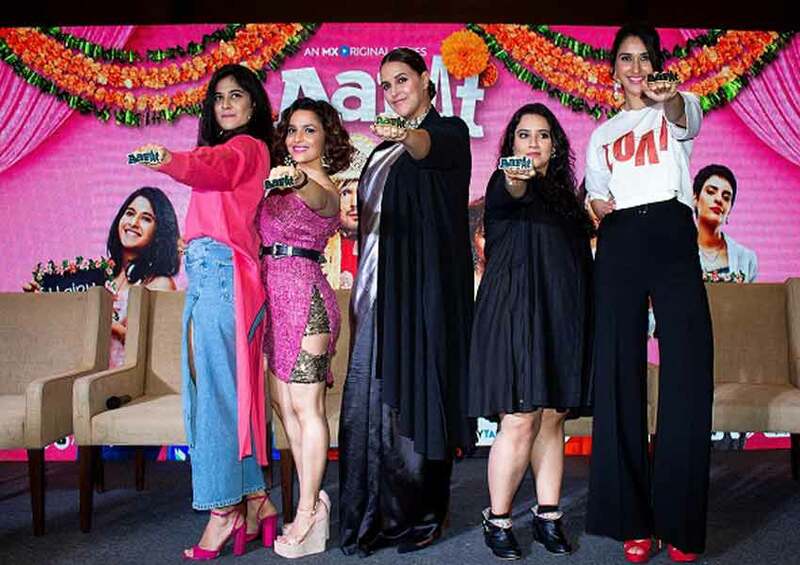 Execution: To break away from the usual entertainment hubs like Mumbai and Delhi and launch the trailer in Lucknow and then Chandigarh, helmed by strong and unapologetic women like Gauahar Khan and Neha Dhupia. These influencers have also been on the receiving end of trolls and prejudiced members of a male-controlled society with Gauahar Khan being labelled as a pretty face while Neha Dhupia was fat shamed after her pregnancy. Both Gauahar and Neha have always stood for the choices they’ve made and were therefore the perfect fit to be the face of the campaign in the launch phase. Narrated in a satirical comedy, the unabashed series was acclaimed for the sensitive message it sent out to women – asking them to embrace their choices, be comfortable in their own skin and not seek an approval from what is yet a patriarchal system. The campaign thought of #MainHoonAafat became a rage across town that found resonance and empathy from successful women across different walks of life. Unapologetic actors like Taapsee Pannu and Shikha Talsania accepted the symbolic knuckleduster award that was made to felicitate women who continue to be judged by society while media stalwarts like Malini Agarwal, RJ Rohini, RJ Archana and Malishka Mendonsa acknowledged the gesture as well. The Impact Top 50 influential women which included strong personalities like Faye Dsouza, Lara Balsara and Tanya Dubash amongst others were felicitated with the #MainHoonAafat award. A comprehensive 360-degree marketing plan was formulated ranging across multiple consumer touchpoints using different media reach vehicles that garnered a massive reach of over 125 Mn.